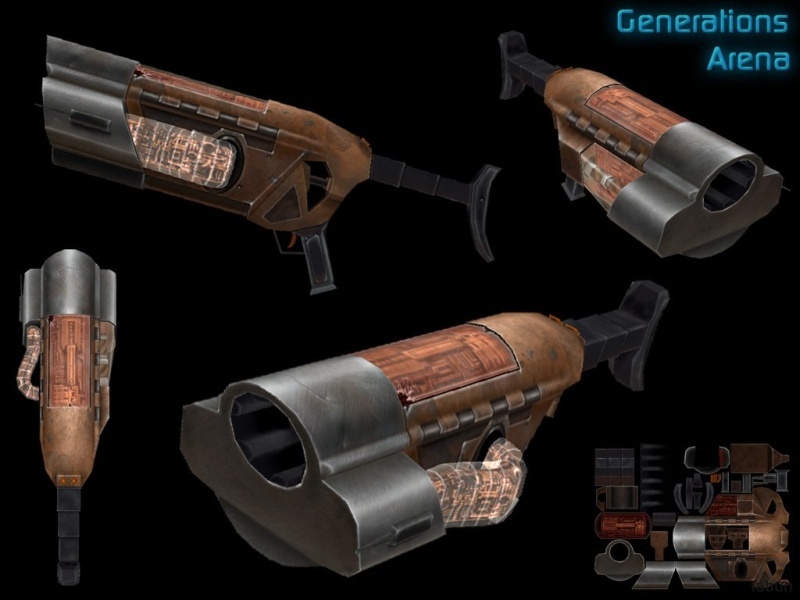 Description : THIS is a Strogg Trooper's weapon of choice. Advancements in electromagnet technology and room-temperature superconductors allowed the UAC to create a portable device capable of accelerating depleted uranium slugs to near-light speeds. The railgun is recognized everywhere for its trademark spiral vapor trail, and the corpses - or rather parts of corpses - that it leaves behind. Special Features: Penetrates multiple targets, Impressive Award. This is undoubtedly, the most focused, comcentrated weapon of all Time, only a True sharp shooter [Without AIM BOTS] is Man enuff to play with this, Light Speed Super Awesome weapon of distinction! Does it still do 125, or was it nerfed to 100, per the 99f manual? And if it WAS nerfed, doesn't that make it weaker than the Q3 rail due to slower speed? As far as I've noticed, Assamite, it does 100. If I remember correctly when Tab's handicap is set to 80 I take 80 damage. But it's easier to handle too, IMO. I dunno how big the hitbox for the Strogg Railgun is, but it seems to hit a lot easier than the Arena Railgun. Whoops! I never changed the damage value in the description. Fixed now. It does 100 damage, same as Arena's. What you may not know is Arena's railgun can only punch through 4 players max. Strogg's can go through 8. I know it's unlikely to hit 4-8 people with one shot, but it can happen.